A comprehensive list of the best places to take photos in Paris, France. It includes key historic locations, churches, city views, bridges, architecture, museums, sunset views and more. Top Photo Spots in Paris - the best places to take photos in the lovely city of Paris! A photography guide to Paris! Are you planning a trip to Paris? Do you have your camera batteries charged? Do you have extra memory cards? You will need them! This place is amazing, but you probably already know that, whether you have been or not. Are you looking for the best places to take pictures in Paris? Do you enjoy cityscapes? 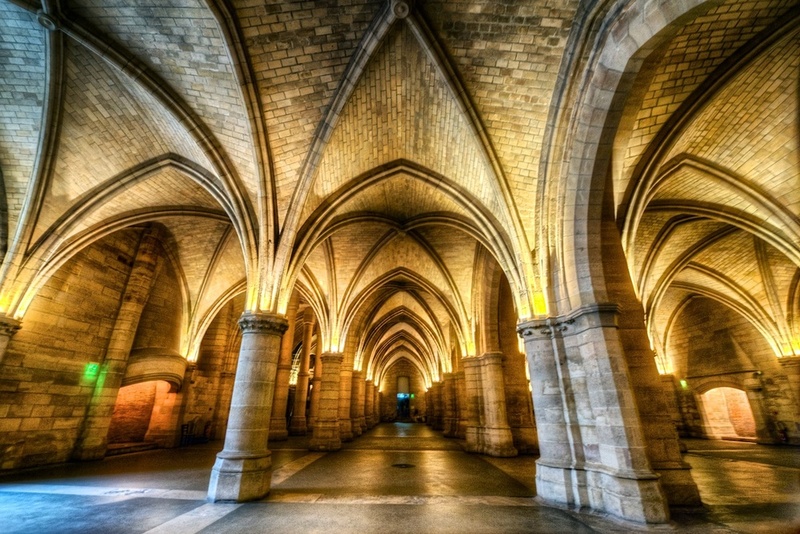 Do you love shooting historic landmarks? What about French cafes? Do you love art and art museums? Do you love cathedrals? How about architecture? Street scenes? Beauty? Paris has it all...and more! So without further delay, here is my list of great photo spots in Paris (and no, this is not a ranking, these are in random order). Also note that all photos here can be displayed in a lightbox - just click on the photo! Alright, I put this one first, but only to get it out of the way. It’s not even near first on my list! It’s probably the first thing that everyone thinks of when Paris comes up, and it’s pretty awesome. There are a million great shots of it, but it's always worth getting your own!. But I do suggest you take a ride up into the tower and shoot from there too, it’s a great view! This is another of the spots that come to mind when mentioning Paris, and it’s every bit as awesome as you expect it to be. It’s beautiful. My favorite place to shoot it was from down on the riverbank of the Seine. I love the view there. But also, you can take a tour up to the top of one of the bell towers, and you end up with an amazing view over the city! If you can stand the lines, the inside tour is pretty nice as well. While I am a fan of art and museums, I have a limited attention span for the while thing. I know some people like to wander in museums and absorb it all for hours, but I run out of gas pretty quickly when it comes to that. However, if I am allowed to shoot inside a museum, I get a little more energized. Funny how that works! I usually find that the architecture inside a museum is pretty stellar. Inside the Louvre are all sorts of interesting things to shoot at, so bring that camera! The exterior is rich with photo opps too, of course. The courtyard with the fountains...the glass pyramid...it’s a target-rich environment for sure. 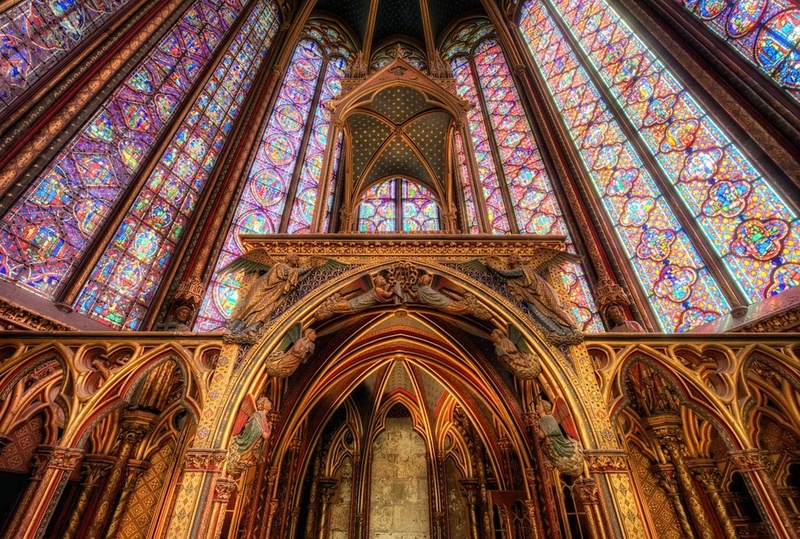 If you enjoy beautiful stained glass - and really, who doesn’t? - then this is the place for you. It’s beautiful, incredible and pretty close to Notre Dame. There are two parts to this chapel - the lower section where you enter, and the upper section where all the stained glass resides. I shot like crazy in the lower section, even though it wasn’t even the main attraction. Then when I got up to the real part of the place, I was blown away. Definitely make time to visit here. Nope, this is not THAT Arc...it’s a different one, and it’s pretty stellar. It’s a very short stroll from the entry of the Louvre, so this one is really easy to get when at the museum. I recommend shooting it at sunset with the light coming through the arc itself. Here’s another easy one - it’s next door to Sainte-Chapelle. This was where Marie Antoinette was imprisoned. It’s actually not a large place, but since I love architecture I just wanted to make sure and check it out. Worth a tour and some photos, and you won’t spend too much time here. Really a pretty quick stop and you can check it off your list! The other famous symbol of a city that’s full of them, the Arc de Triomphe sits at the end of the Champs Elysees (Paris’ main drag, if you will) and towers over everything around it. Yes, it’s really huge. Be aware that there is an underground passage to take you there, because the Arc sits on an island at the confluence of 12 different streets. Trying to cross would be suicidal - I actually had to stop a couple from trying it as they didn’t realize you could get there underground. You can also go on top and shoot down the Champs for a different view. This is another “off the beaten path” sort of place, but one that I found fascinating. I love natural history museums anyways, and this one is grand. The architecture is fabulous and with such a wide open interior, it’s ripe for firing some shots. Also note the lights in the ceiling change colors, so that makes for some nice tone changes in the atmosphere (and the photographs). As I have said here before many times, I love to shoot in train stations in Europe. The Metro that runs under Paris definitely offers up some possibilities in this category. The best looking one that I saw was the station near Notre Dame, which was called Cite. Since you are probably going to Notre Dame, be sure and use this train stop and fire away when you arrive (or depart)! While in Paris, we stayed in the Marais district and that’s how I found this church...by accident. I was literally walking down the street and saw it. It looked interesting and when I went inside...WOW. Be sure and stop by when you visit Paris! That’s one thing about a lot of churches...they are not too ornamental on the outside, so always check the interior in case it turns out to be fabulous! This is arguably the most famous street in the world, and we both know you are going to end up there at some point. It’s very touristy, but if you hang around after dark you can find some interesting and beautiful scenes to point the camera at. I also recommend stopping for a macaron or two at Laduree! At one end is the Arc de Triomphe, and the other end is basically the Louvre. In between you could fill a memory card or two! This is one heck of a beautiful cathedral, but sadly they do not allow photography inside. I didn’t risk it this time. It was way too crowded, and I made the decision to enjoy it visually, without a camera. I saw some folks try and sneak in a shot here and there, and the workers were all over them. So, I passed on that one. But the exterior is pretty incredible too, so be sure and shoot that! And the entire neighborhood around here, known as Montmartre, is fabulous! The Sorbonne is a public university in Paris and once again, I was just drawn in by the architecture. I just love that stuff. So I swung by here one evening and made sure to include that little French cafe over there on the right since I thought it added a little something to the scene! I walked through this large public garden/park while headed to some other spots to shoot, and I am glad that I did. Even though it was late Fall (this was in November), I still found it to be rather beautiful. I can't imagine how awesome this place would look in the Spring! This one is super convenient to shoot, because it sits between the Louvre and the Arc de Triomphe, and we both know you are going to those two spots, right? 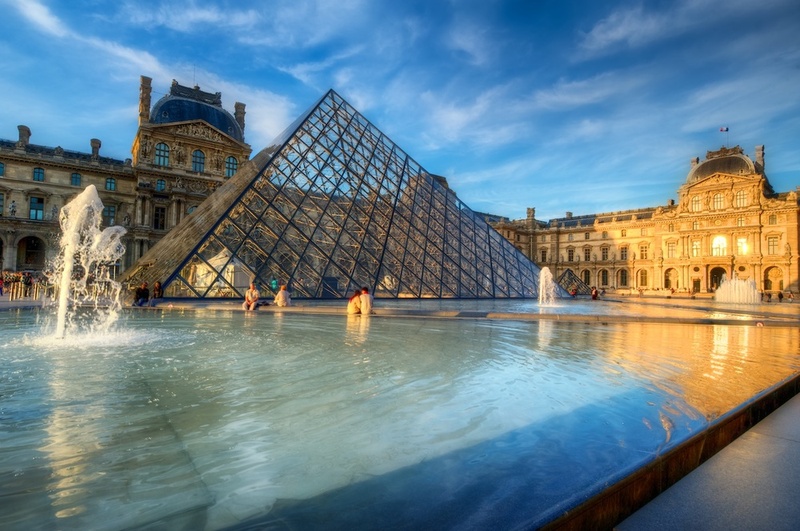 It's actually closer to the Louvre - just a short stroll from there. I particularly thought it looked great at blue hour with that ferris wheel all lit up! This bridge is regarded as the most beautiful and ornate one in the city (per WIkipedia, and I believe it!) and sits right in front of Les Invalides. It crosses the Seine and gets you from Les Invalides over to the Champs Elysees. While this building is both a library and a museum, it's best known for it's interesting architecture: all the buildings' systems are on the outside, and color-coded for easy reference. It's definitely an interesting stop! This is the city hall building for Paris, but I couldn't resist shooting because of that awesome architecture. And bonus: it's a short stroll to Notre Dame, so get two in one stop! And in this case, I opted for a monochrome with a film texture, just to mix things up a bit here! Wow, this is one beautiful building! You will probably find yourself saying that a lot in Paris, and in this case it's just incredible. It's about 10 Euros to get in, but well worth it in my opinion. There is just so much incredible and ornate architecture here - I could spend hours shooting it. This is a lovely church that sits right next to (and sort of behind) the Pantheon. My original plan was to shoot the Pantheon, but there was construction on the dome so I had to skip it. I happened to see this church and decided to investigate - glad I did! It's pretty incredible. Everyone knows about Versailles - it was once the home of Louis XIV and others, but now it's just a wonderful palace with insanely awesome architecture and gardens. It's 12 miles outside of Paris, and I took the train (RER C line) which was about a 40 minute trip. Super easy to get to, and well worth a day of your time! This is one of the many famous stops in Paris, and it's rather fun to see. The part of town isn't as shiny or beautiful as much of the rest of Paris is, but I still enjoyed popping over here to get some shots. It's in Montmartre so an easy trip on the Metro from the main tourist areas of Paris. I have a thing for European cafes. I just love them. So I made sure to swing by this spot one evening to get some shots. This cafe was made famous years ago by it's well-known clientele - folks like Ernest Hemingway used to hang out here. I'm sure the prices are high, but the photos are free! This is actually an upscale shopping center, which is NOT where I would normally be found. However I made an exception in this case, because I had seen pics of this crazy upside-down Christmas tree thing, and had to see it for myself. It's pretty awesome! And ladies, you can get a little shopping in after shooting this! These two streets are very near Notre Dame, and are filled with cafes, restaurants, bars and shops. Some of it is very touristy, but I still find little gems of cultural fun hidden in there. Worth a stop if you like little cafe scenes like I do! Yes, this is another shopping center, but it's rather old and has a lot of character. It's a short walk from the Louvre, and I found it to be rather beautiful and interesting. I wandered past this wicked looking church while on Rue St Severin, and was able to get a quick peek inside - and it's fabulous! I grabbed a couple of shots really quickly, as I was headed elsewhere, but I'm glad I did. Well worth checking out if you are nearby already (and this is <5 minutes from Notre Dame). There are at least two bridges in Paris that I have seen that have all these locks on them: the one next to the Louvre (I believe that is the original spot where this got started) and on the bridge behind Notre Dame, which is where I shot this. Either way, it's not a major stop but makes for some interesting shots! Well, you may not be thinking about visiting a bookstore while you are in Paris, but this one is worth a stop. It has new and used books, and has been featured in a couple of movies as well. A fun little stop and it's about 200 yards from Notre Dame so rather easy to get to! This is a lively little street of shops and restaurants that is way deep in the Latin Quarter, near Place Monge. I happened to stay in an apartment nearby, so of course I took some pics here. If you are all the way across town, I wouldn't trek over here for pics since it's not much different than many other streets, but it's worth a stop if you are reasonably close! This is better known as the "Inception Bridge", since it was made somewhat famous by a particular scene in that movie. It's really close to the Eiffel Tower - and you know you are going to be there - so stroll over here and fire away! As I mentioned above, this bridge is worth shooting and does give you a great view of the Eiffel Tower. In this case, I added a texture and some other stuff and made it a little more artistic. I love spots like this, which are beautiful and historic. 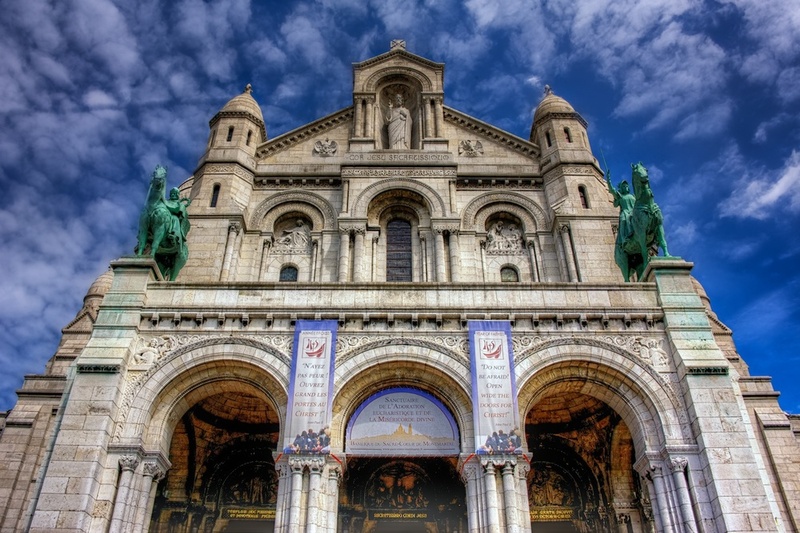 It's a short stroll from the main plaza at the top of Montmartre, sort of near Sacre Coeur. You'll find it, and will be glad you did! This part of town is just incredibly gorgeous in my opinion - it may be my favorite part of the city. Just wander the streets and keep the camera handy, you will need it a lot! Well, that’s my list for now. As I make it back to that most wonderful of cities, I will make additions. Not sure when I will return, but boy do I want to get there soon! Like I said, it’s awesome! If you have further ideas, feel free to leave them in the comments section. Thanks for stopping by!